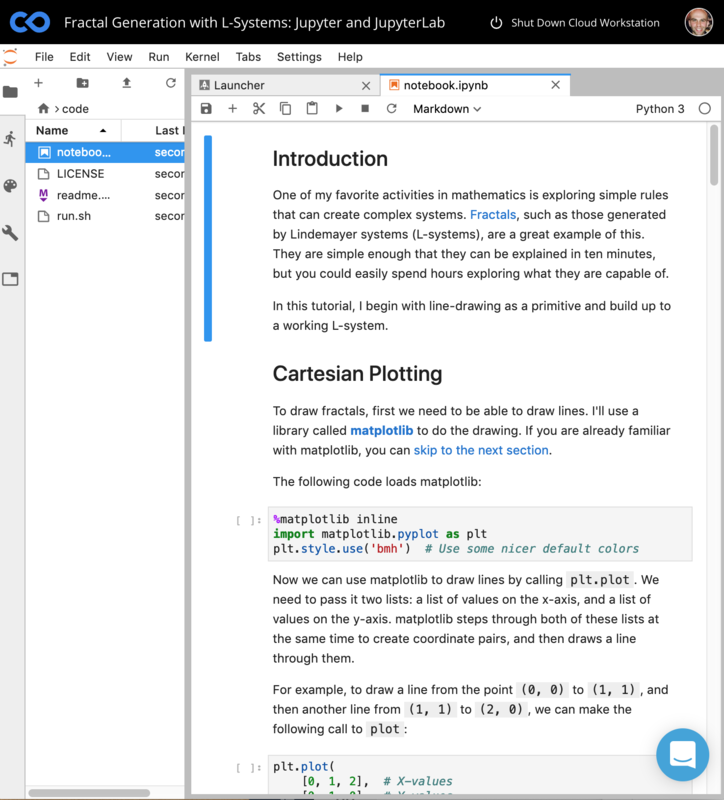 JupyterLab is a popular Integrated Development Environment and "the next-generation web-based user interface for Project Jupyter." Code Ocean implements a User Interface based on JupyterLab by default, with many of the IDE's features available at a glance. 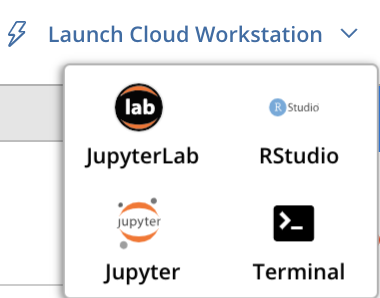 Another option is to use JupyterLab as a Cloud Workstation session , where you can start new Python files or Jupyter Notebooks, or run smaller segments of code without executing a master script. This will automatically launch the typical JupyterLab interface. Note: If you don't have pip or conda installers available, click the 'Environment' icon to access your environment configuration screen; add python3-pip and python3-setuptools via apt-get; and add jupyterlab via the pip3 installer that pops up.